The City of Auburn Environmental Services Department hosts two Household Hazardous Waste Collection Days in the spring and fall. 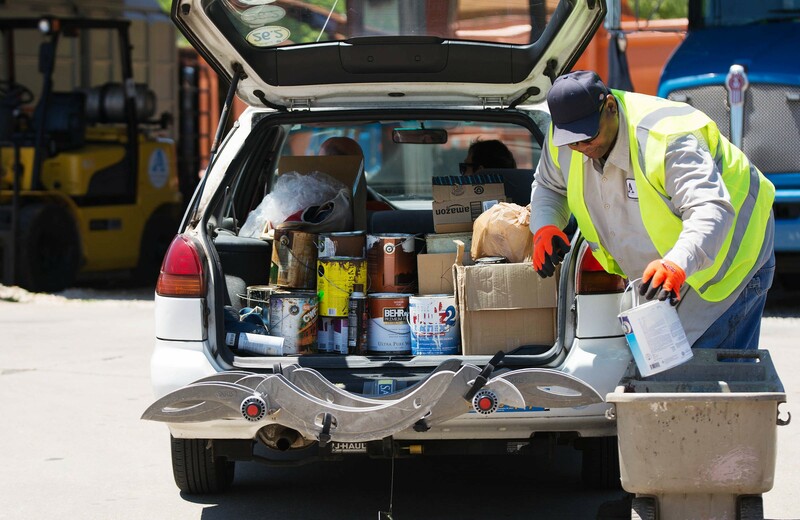 The scheduled Household Hazardous Waste Collection events are scheduled for Saturday, April 6, 2019, and Saturday, October 12, 2019, from 9 a.m. until 1 p.m. at the Environmental Services Complex, located at 365-A North Donahue Drive. During these events, we will accept your paper documents for secure, on-site shredding as well as computers/electronics. Citizens may bring up to 20 pounds of material per household for disposal. Participation is limited to Auburn residents. Proof of residency can be shown by bringing a recent water bill. No farm, commercial, or industrial waste is permitted.